If the fat below your chin or upper neck bothers you, ask Dr. Sheila Patel of AllureMD in South Loop, Chicago about Kybella®. Kybella is a nonsurgical way to reduce the "double chin" and create a more contoured chin. For an expert consultation, call or book an appointment online today. Kybella is a nonsurgical FDA-approved treatment to reduce chin and neck fat, also known as submental fullness. Kybella is made of deoxycholic acid, which is a molecule that naturally occurs in our body to break down dietary fat. The fat cells are killed on contact and do not return. Kybella uses this substance directly under the chin area to address the "double chin" or create a more contoured appearance. The area will be iced prior to treatment to help with comfort. A series of specific tiny injections are placed in the submental fat. Approximately halfway through the treatment, many patients notice a burning sensation. This will improve and resolve within a few hours of treatment. Results are notable after swelling resolves. Many patients need 2 or more treatments. It takes about 8 weeks to assess the full effect of your Kybella treatment. 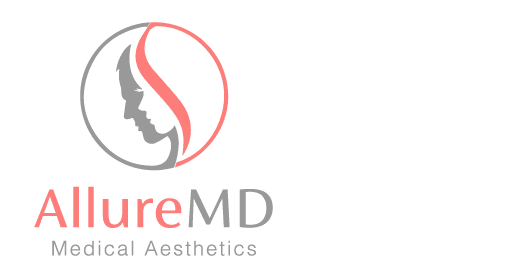 The team at AllureMD is proud to offer this nonsurgical treatment to help you improve the appearance of your double chin and boost confidence in your profile. For a consultation about whether Kybella is right for you, call or book an appointment with AllureMD today.